We are among the prominent traders, wholesalers and distributors of a wide range of best grade Roof & Wall Sheets. Owing to their resistance to extreme weathering conditions, these sheets are highly demanded in the market. We are involved in trading, wholesaling and distributing an extensive range of Roof & Wall Sheets. 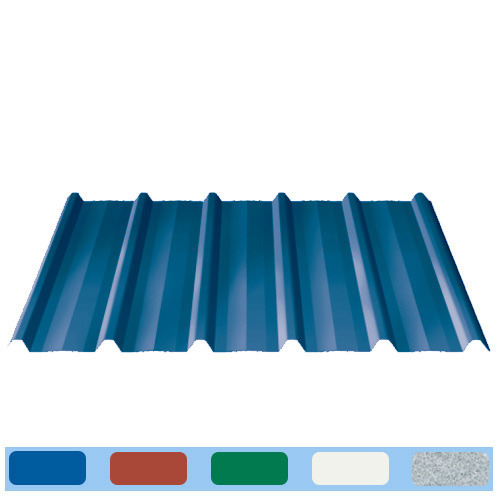 Apart from this, we also offer Sheet Accessories, Crimp Accessories and Colour Coated Roofing Sheet. The high grade raw materials and advanced machinery applied in its making, gives the product superior resistance to corrosion, strength and durability.